Are you concerned about privacy on the web? Then anonymous web browsing, the ability to surf the web without being tracked, is for you. Here are some frequently asked questions about hiding your tracks more diligently on the web. Why Would Someone Want to Conceal Their Web Activity? People have many reasons for wanting to browse the web privately, but they all boil down to the need to protect something or someone. For instance, if you are in a country that has restrictive web policies, you probably want to hide your browsing habits from the government if you are looking at sites that are contrary to their policies. If you are at work, you might not want your employer to see that you've been looking for another job. If you are at home searching for prescription drug information, you probably don't want spam emails sent to you offering the latest in drug advancements. It's all about privacy. Who or What Do You Want to Hide From? Private web surfing can take two basic forms. Privacy from other people: You'd be surprised at how much information is available from your web browsing habits. For instance, by using simple "sniffers" (hacker tools), somebody who really wanted to could find out your IP address, cookies, what's in your browser cache, what kind of computer you're using...they could even connect to your hard drive and access your private files, including passwords and banking information. These tools can also access your private information through your email provider, too, unless your email provider is secure and anonymous. Privacy from the web: Say you're searching the web for information on a drug to help with your arthritis. Your search keywords, IP address, time, etc. will probably be logged and tracked by the website that you land on. The best case scenario is that you just start getting a lot of spammy emails in your inbox trying to sell you the new arthritis wonder drug. The worst case scenario looks like this: your browsing information is sold to other drug website companies, you start getting telemarketing phone calls at dinner time (your phone number is easily accessible unless it is unlisted), you start getting junk mail at home, and lots more. Suffice it to say that there are a LOT of ways that unscrupulous companies can manipulate the information that you give them on the web. We've mentioned the fact that websites and other people can sniff out information about you including your IP address. Well, what exactly does that mean? What is an IP address and why would you want to hide it? Tracking: You can be found and tracked using your IP address very easily. Attacking: Your IP address gives hackers an entryway into your computer. In a nutshell, anonymous surfing works by putting a buffer between you and the website you want to look at, allowing you to view information without being tracked. There are two main ways by which this can be accomplished. Over time, tracking techniques have gotten more sophisticated and much more invasive. Now, a website can track you long after you've left, getting information about what you do on every other site you visit. A site can also bypass your proxy of VPN to get your IP address through features in your browser. The same features that let you share your webcam or microphone are the biggest offenders. The features that let you see 3D graphics and render animations can also play a role. Scary, right? There are ways that you can configure your browser to block invasive requests for information. You can also use privacy add-ons to ensure that your browser is protecting you, rather than selling you out. In short, you should always be using a VPN. 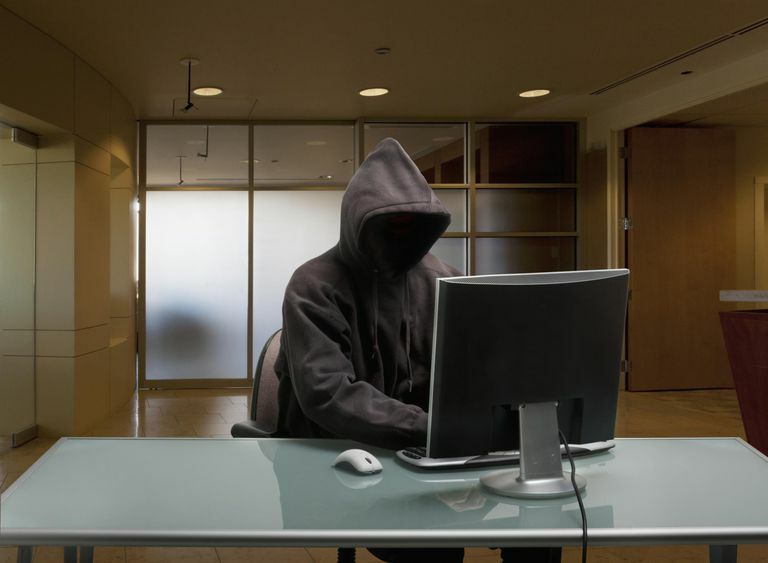 It's a relatively low cost way to protect yourself online. A VPN works by creating a virtual private network(hence the name) that you can connect to. That network looks just like the network at your home or office, only instead of your traffic coming out of your router and onto the web, it comes out of the VPN server. That means, everything you do looks like it's coming from wherever your server is located. It also means that all of your web browsing gets mixed in with everyone else using the VPN, making it much more difficult to track you. VPN web traffic is also encrypted. That means that your ISP(Internet Service Provider) can't see what you're doing either. Think of it like a tunnel going from your computer or router straight to the VPN server. There are plenty of great VPN services out there, both free and paid. As a general rule, though, you should do some research into your VPN before signing up. They aren't all equal. Check whether or not your VPN logs your connection or any data. Make sure that they offer enough servers to connect to, and see what their connections speeds are like. No privacy measure is perfect, and that includes VPNs. As described earlier, your browser can sell you out, if it isn't properly configured. It's also possible to lose your connection to the VPN for various reasons, meaning you'll be connecting through your ISP again, unprotected. You can test yourself for various VPN and browser leaks to ensure that your setup is secure and private. Make sure that everything stays locked tight, and you should have much fewer privacy worries. Proxy servers work by retrieving web pages for you, similarly to a VPN. They hide your IP address and other important browsing information, so the remote server doesn't see your information but sees the proxy server's information instead. The main difference between a proxy and a VPN is how you connect. It might be a little technical, but the protocols are usually different. This difference leaves your traffic open to your ISP between your browser an the proxy in a lot of cases. Proxies also tend to be available for free and less organized that VPNs, which are mostly run by legitimate businesses for profit. For much, much more detailed information about how proxy servers work and how to set up your browser to surf with an anonymous server, check out our Introduction to Proxy Servers article. Surfing with a proxy site or service is simple: all you do is navigate to the proxy site, enter the URL you'd like to visit anonymously, and you'll be able to surf leaving virtually no trace that you were ever there. Basically, when you use an anonymous proxy and enter the URL that you'd like to visit anonymously, the proxy retrieves the pages BEFORE they are delivered to you. This way, the IP address and other browsing information that the remote server sees does not belong to you -- it belongs to the proxy. That's the good news. The bad news is that these services tend to slow down your lightning-fast browsing a bit, and there usually will be ads on the top of your browser window (they've got to pay the bills somehow). But it's worth it if you really want to be invisible on the web. Anonymouse: This service allows you to surf the web without revealing any personal information. Tor: Using Tor can help you anonymize web browsing and publishing, instant messaging, IRC, SSH, and other applications that use the TCP protocol. 250 Working Proxies: Here is perhaps the biggest list of anonymous proxies readily available.